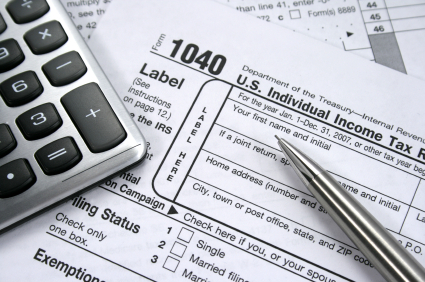 Home > Taxes	> Is It Bad to Pay Income Taxes? Is It Bad to Pay Income Taxes? I’ve been in the tax business for over 20 years. Having dealt with scores of clients, I’ve talked with all kinds of people and dealt with a myriad of situations. Although people may accept the requirement and necessity to pay taxes, there is a general disdain for paying taxes and filing tax returns. I often hear people bemoaning the amount of taxes that need to be paid. You may have heard someone say that they don’t want to make more money, because they’ll have to pay more taxes. My response to that statement is rather blunt… that is stupid. Sorry, if I’ve offended you, but let me explain why I was so brash in my comment. As I tell my clients there are worse things in the world than paying taxes. Income taxes are assessed on income. Thus, there is a general premise that you must earn income to require the assessment of taxes. If you don’t pay taxes, it means you aren’t making money. Think about this… if you paid any taxes in 2008, you probably paid more taxes than Ford, General Motors, Chrysler and many of the big U.S. banks combined. All of those companies lost billions of dollars in 2008. As they were fighting for their survival, paying income taxes was not the most important concern of the executives, employees and shareholders. With the extension of the Bush tax cuts, the top federal rate is 35%. Add in state, local and Social Security taxes, and your top marginal tax rate could be 50-55%. Even if your rate is 50%, you get to keep 50% of what you make. Thus, for every extra dollar you make, you have 50 cents to spend. As long as the tax rate is less than 100%, you will still come out ahead if you make more money and pay taxes. Many years ago, one of my wealthy clients told me that he was privileged to pay $1 million in taxes each year. At the time, he was making over $2 million. Although he lost over one-third of his income to taxes, he still had more than $1 million to spend. Would you prefer make $50,000 a year and pay no tax or be in his situation? Granted, you would probably like to pay less in taxes, as would my client who paid the $1 million, but that is a different discussion. The simple fact is that our government raises part of its revenue by levying an income tax. You may not like the amount of tax that you pay, but there are worse things than paying taxes. Furthermore, the more that you more you make, the more you pay, and as a result the more you pay, the more you have to spend. Thus, I am of the opinion that paying income taxes is a good thing.